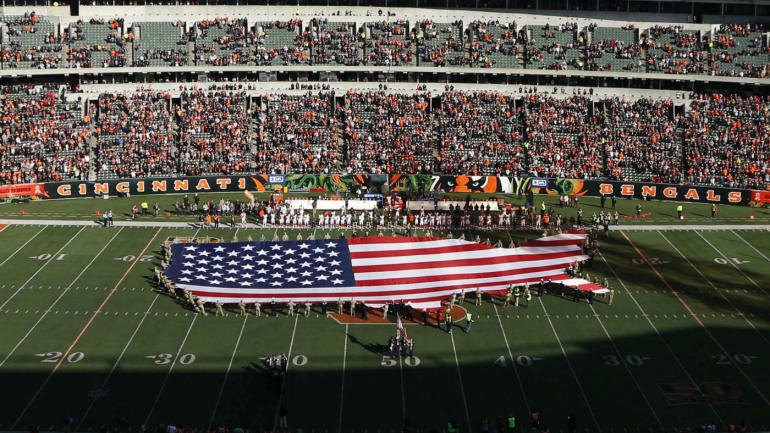 Talks between the NFL and the NFLPA are still ongoing, but it is unlikely that the sides will agree on a new national anthem policy at the beginning of the season. According to a report by ESPN.com's Dan Graziano, however, the talks are still ongoing and there is optimism that an agreement will be reached. Members of the NFLPA Executive Committee met with select owners earlier this week to discuss the policy. In a joint statement, the sides described these talks as "productive," stressing that they "remain determined to work together on solutions." Sources familiar with this meeting, Graziano said that during the talks both sides are curious the other deals with problems that arise in the future, such as whether the players will continue to protest during the anthem, which owners and / or league will do and whether President Donald Trump will continue to mention it. 7 season will remain until the league and players agree on a new one. Presumably, this means that the 2017 policy – which is expected but not required during the national anthem – will be maintained. May policy (booth or locker room) remains on hold. The owners of the NFL had already approved a new policy in May, but this policy was hit with almost instant pushback from players. (The president's pushback was also encountered, which made it clear that the owners' reassurance attempts did not work and probably would not work either.) It is said that the new rule called for all players and employees, "respect for the flag and the Hymn "and demand that the teams be punished when players or staff kneel or sit while playing the anthem. The rule would also have allowed players to stay in the locker room during the national anthem if they did not want to be on the pitch. The NFL and NFLPA have been working on a resolution to the anthem in recent discussions. In order to continue this constructive dialogue, we have come to a standstill agreement on the NFLPA complaint and the anthem policy of the NFL. During these confidential discussions, no new rules regarding the anthem will be issued or enforced during the next few weeks. The NFL and NFLPA reflect America's great values, which are repeatedly demonstrated by the many actors in the communities in our country who promote equality, fairness and justice. Our common focus will continue to be on finding a solution to the hymn problem through mutual, bona fide obligations beyond litigation. Since then, discussions have been going on about a new policy, and the League and the players have made several announcements to that effect, but so far there has been a great deal of detail about what a revised new policy could mean.